The Pan Tilt camera or PT camera is one of the most versatile cameras on the market today. Not only does it offer the standard electronic features of most other cameras, but the PT model can do just that--Pan and Tilt. The Pan Tilt camera or PT camera is one of the most versatile cameras on the market today. Not only does it offer the standard electronic features of most other cameras, but the PT model can do just that–Pan and Tilt. What is a Pan-Tilt camer or PT? Panning is the ability of the camera to move about a horizontal plane; in other words the camera can turn from left to right and/or all the way around in a circle. Tilting refers to the cameras ability to move about a vertical plane, in other words the camera can move up and down. With no walls, poles, or mounts to impede the view, a pan tilt camera can easily maneuver its lens in any position equal or greater to that of an area covering 1/2 sphere. But we’ve only talked about Panning and Tilting. PT cameras often have one more powerful feature – Zoom. These cameras can change their focal length (automatic varifocal lens) so they can go from a wide angle close-up shot to a narrow angle enlarged shot. Most Pan Tilt surveillance cameras have miniature motors that drive the camera and through their PT functions. These are generally the best type of PT cameras. Some cameras have something called “digital PTZ” which is an electronic based feature that doesn’t physically move the camera. Of course, digital PTZ has many more limitations than regular PTZ. Many Pan Tilt cameras have the ability to detect motion. Once a Pan Tilt camera detects motion, it can be used to track or follow objects. This maybe most useful when the cameras are used as parking lot monitors. Using object tracking or following, the cameras can help keep track of the vehicles that come and go as well as the people. 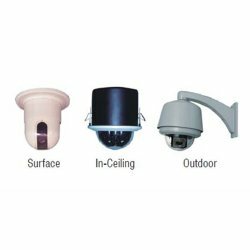 Security Camera King offers a variety of Pan Tilt (and Zoom) Cameras which range in price from $199.95 to $985.99. 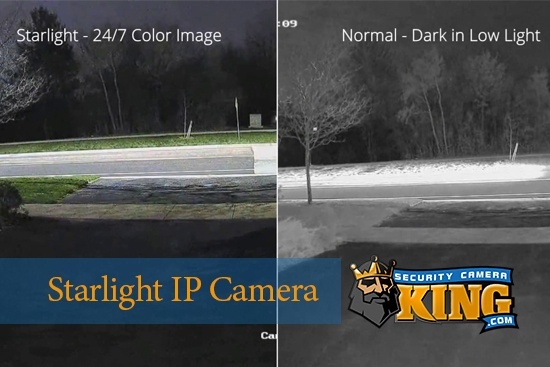 Security Camera King offers two different models of auto tracking Pan Tilt Zoom cameras. The first, Product# VP-ATDNC27X is priced at $707.69 and includes day/night capture and 27X zoom. 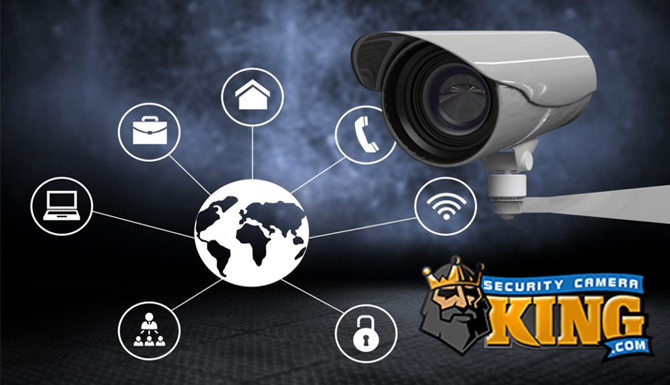 The second model is Security Camera King’s SVP-ATDN36X. This is similar to the first with the major difference being an increase in zoom capability to 36X. Security Camera King’s PTZ-LX550L3X is an affordable solution for a PTZ camera priced at $199.95 with a resolution of 550 TVL! This camera has a 3X Zoom lens with 360 degree continuous rotation pan. It can tilt from 0 to 90 degrees and flip. This is a high resolution high definition display producing camera. Further, the PTZ-LX550L3X offers 32 preset points with pattern tours including programmable 16 preset point numbers and dwell time/speed. The camera can auto scan as well as be programmed to auto return to its home position. This camera is rated IP66 for outdoor use so it can be used as an indoor or outdoor camera. The PTZ-HN03100 is the perfect solution for a hands-down high quality Pan Tilt Zoom camera that works well with any of our featured Digital Video Recorders or DVRs. This camera is also a super high resolution camera weighing in at 540 TVL. It is vandal proof, IP66 rated with the outdoor mount, has auto gain control, auto white balance, and an on-screen display. In addition it offers 10X optical and 10X digital for a combined 100X zoom capability. Try Security Camera King’s SVP-54CDN10X 540 TVL Mini Dome Surveillance Camera. This is a Veilux camera and as many of our customers attest on their reviews, Veilux makes some of the most versatile and highest quality cameras available. This maybe a mini camera, but there is nothing “mini” about its results. It offers true day/night with color day time video and black and white when the visible light becomes less than .02 Lux in brightness. This Pan Tilt camera offers up to 256 presets and it offers high speed pan and tilt. It even comes with its own wall mount! Priced at $664.50 it’s a professional level camera that offers professional results. A Pan Tilt surveillance camera is a versatile, powerful, and cost savings camera. When these cameras are placed properly, one camera can easily replace the need for 2, 3, or 4 otherwise stationary cameras, making the PT camera an actual cost savings investment. 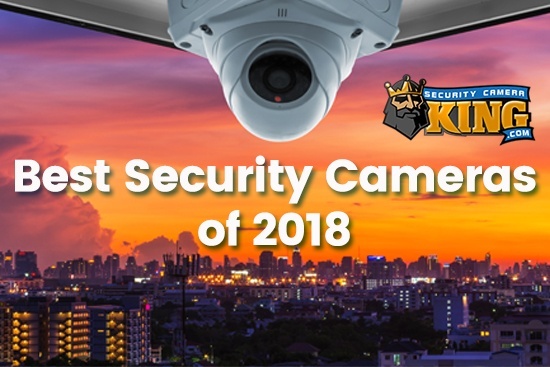 If you are interested in purchasing a Pan Tilt surveillance camera or would like more information, please contact one of our Security Specialists today.